A disproportionally large amount of people (relative to the size of the community) filed into a little Baptist church in rural Missouri. The average age of this congregation can be described in one word; gray. There were a few children present, but the small town was primarily older folks so I would not have expected to see more young ones in attendance. We were in town because my wife’s grandmother lived there and we were visiting her for the weekend. Grandma would not have let us leave town without going to church, even if we had great excuses to skip. Plus, she promised us that she was going to make her world-famous chili for lunch so that was incentive enough to humor her. The church was small and the last time the décor was updated was sometime around the late seventies or early eighties. These were the good ‘ol days when aliens invaded the earth and felt like their main contribution to the world be wood paneling in all homes and public venues. Every square inch of the building needed an update, and the handheld microphones had those awful bright colored covers on the microphone heads that stood out like a sore thumb. All in all, it was a place that didn’t look inviting according to a young pastor standards, but everyone had a smile on their face so I was going to keep my heart open. You see, by this time, I already had a bachelor’s degree in ministry and was about to start seminary. I was obviously an expert in all things pertaining to leadership and was already developing a critical eye and ear when visiting churches. The music began and, as was expected, the song lineup consisted of both songs I had never heard and ones that I remembered from my childhood. The older lady leading the music was not exactly gifted for the part but her passion was obvious. No new contemporary Christian top 40 hits were played, and, at the time, I saw this as a serious flaw. How would they minister to people without the newest methods, songs, or a fresh look? How can they minister to people who were advanced in age when every book I have read on “church growth” tells me that the younger generation should be their laser focus? It obviously wasn’t the case here. They seemed to have a routine that many were comfortable with, and everything had a distinct rhythm. The pastor began to preach, and the content was great but the delivery of the sermon left a little to be desired. He wasn’t even in the middle of a catchy series! This pastor had been with this congregation for many years, and most people had gone to that church for a long time. There was a comfort there that could be felt with the shepherd of this flock. As I looked around during worship, one thing was apparent. These people were genuinely interested in what was happening in the worship service. They were responding to the sermon, singing the songs loudly, and taking notes to better absorb the message for the day. Every family had a Bible that was nearly destroyed from use, and the children that were there seemed to pay attention to every word. The bulletin recorded evidence that these people participated in missional activities in the community. 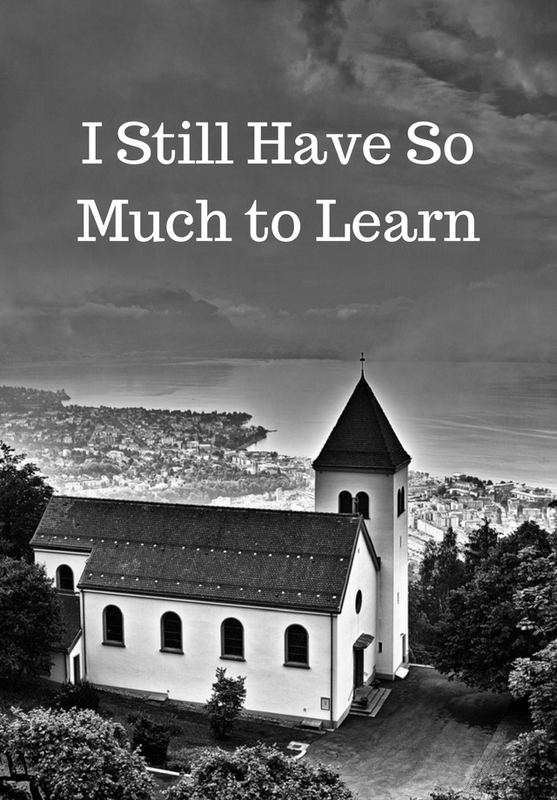 Could it be that the books I was reading about ministry distracted me from a deeper truth? Is it possible that I was wrong about what church “should” look like? Attending that church made me feel a little different about serving in ministry. In an age where so many pastors spend much of their time looking for the next “new thing”, it seemed foreign to encounter a ministry that didn’t try to fix something that wasn’t broken simply to put more butts in the seats. The back of the platform was not painted black, the lights were not dim, there were no laser lights, and there were no fog machines; yet there was something intensely spiritual about this experience. People were lifting the name of Christ, and learning how to love others more. They were simply worshiping. I have often been intoxicated by worship experiences that were designed to put people into a spiritual trance. Experiences that were defined by scheduled perfection and rehearsed timing. I think God sees through these type of things, and I have realized that a little Baptist church in a place that is not even on the map can be as intensely faithful as the megachurch down the road with much more to offer. I pray that all Christians will fall in love with God like this small Baptist church. If we do, we will see a genuine revival happen throughout the world. I still have so much to learn. Let’s get back to basics. Next ›Double Cheeseburger @ The Workingman’s Friend. Episode 11 | Can People Change? Episode 10 | Should "Old" People Step Aside in Church Leadership? Episode 08 | What is the Christian Ideal?